Brevard Natural Moms – Your local natural parenting and green-living resource! Your local natural parenting and green-living resource! KidCon Orlando will take place at the Royale Caribe Convention Center on September 1, 2019. Central Florida, Tampa area and Space Coast area parents should rejoice, it’s not often we have exciting events to attend that are not just kid friendly, they are kid centered. KidCon is the ultimate event for kids and families. This event is designed for kids, and kids at heart, they take our toys and games seriously. During the KidCon event, attendees will be able to shop, learn and play at this unforgettable event. Interactive areas include slime making, obstacle courses, coding and more. Check out our Kid Zones in the city nearest you to see what will be in store for your family at KidCon. You can purchase your KidCon Tickets here. or join the KidCon Discussion Group on Facebook to connect and learn more! 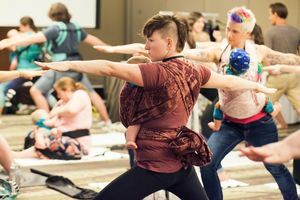 Ultimate Guide to Parenting Events Including MommyCon Orlando! How to find parenting events and conferences in your area! In this day and age there is no shortage of parenting, motherhood and pregnancy event options. 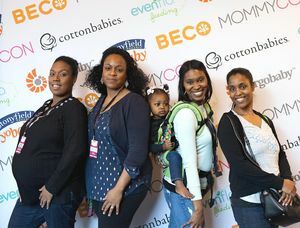 Here is Mommy Con’s Ultimate Guide to Parenting Events in the US. If you have more you’d like to see added to the list, let me know! The Mother of All Parenting Events can sum up this North American series of events. Contrary to the name, this event is for all parents. With a minimum of eight events per year, this event has become the largest parenting event in the country. Features of the event include a boutique-like exhibitor hall, no less than a dozen educational sessions and a focus on community & bonding. The event focuses on modern and natural parenting methods and each attendee walks away with a gift bag filled with products from a variety of modern and natural parenting brands. The event is geared towards expectant, new and toddler-staged parents with certain markets hosting early-childhood sessions that extend beyond the pre-school years. SAVE: You can use code ‘DIAPERGEEK17’ to save $5 off your MommyCon Orlando admission tickets. If you are an expecting parent who is looking for an informative evening that is filled with incredible giveaways from the biggest names in the baby industry, this event is for you! The event is specifically designed for those seeking to explore registry options. Guests walk away with a gift bag filled to the brim with amazing samples and full size products. Jamie Grayson, The Baby Guy NYC, hosts this event with Bump Club and Beyond in 15+ locations each year. Are you a Big City Mom looking to connect with expecting parents in your area? This event is for you! The event features over 100 baby companies and offers testing, feeling and discovering products under one roof. The event features pampering services, snacks and even mocktails. Guests can expect to walk away from the event with a ginormous gift bag full of samples like baby formula, disposable diapers, bottles and wipes. The Biggest Baby Shower Ever is headquartered out of NYC, but travels to Boston, DC, San Francisco, SoCal and Miami each year. If you are a Cool Mom from SoCal, chances are you have been to Family Fest from Club MomMe. This outdoor event takes place in the fall at a scenic location each year. It’s one part baby, one part toddler and two parts socializing with other parents in the LA area. The event features an array of exhibitors, pampering services for mom and fun for toddlers. This is a great event to meet other families while noshing on local finds. This fun filled event is the see and be seen of Hollywood. Celebrities flock to this event for a special VIP hour and consumers get the chance to learn all about car seat safety at this one-day event that happens in SoCal each fall. The event is informative and the gift bags are always widely talked about for including amazing products. They started off in NYC and are now expanding into markets across the US. They tout themselves as the biggest baby show in the country. The event features an expansive exhibitor hall, and they are known for their stroller test track. They now have events in NYC, SoCal and Chicago. Babypalooza – Expo style event that travels around Alabama and Mississippi. Prego Expo – hosts an expo style event in Florida and are expanding to other parts of the country. NJ Baby Expo – Hoboken based expo style event. Baby Bump Expo – Seattle and Tacoma expo style event. Babyfest Northwest– Seattle and Portland expo style event. Baby Kid Expo – St Louis expo style event. Chicago Baby Expo – Chicago suburb based expo style event. Blossom Baby Expo – Long island expo style event. 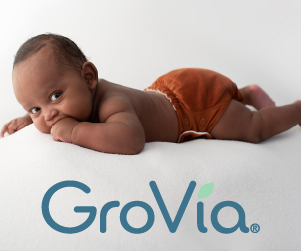 Atlanta Baby Expo – Atlanta expo style event. This post can be found in it’s entirety here. Have you attended any of these popular parenting events? Which ones and do you feel like the attending was worth it? In the Treetops Baby Boutique, Cloth Diapers, Eco-friendly toys, Laundry care and more! UPDATE: In The Treetops Boutique has closed for business. In The Treetops Baby Boutique is an environmentally friendly, family owned business. They offer fashionable, affordable, and eco-friendly products for mother and baby ranging from cloth diapers to non-toxic toys, Baltic amber teething jewelry, silicone teething jewelry, natural laundry care, books, accessories, and more! They help support our planet by using sustainable, earth friendly packaging made from recycled, biodegradable, or re-usable materials. 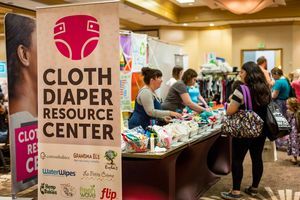 In addition, they host free local cloth diaper classes and parties as well as a gift registry! Have questions about an item or want to see it in person, give them a shout to plan a meet up! Free local pick-up is available in parts of Brevard County as well as the UCF / Research Park area of East Orange County. Located in Malabar Florida, Florida Fields to Forks Farm is a popular local CSA farm with great buying opportunities for members and guests interested in trying a share before joining. What can you expect to find at Florida Fields to Forks? Grass-fed Beef, Pork and Lamb, Chicken and Fish, Produce, Dairy, Artisan Baked Goods and Chef Prepared Entrees, Dry Goods, Gardening and more! For membership information, guest shares, pick-up locations or to shop the farm please visit Florida Fields to Forks here. Raw Milk, Farm Fresh Eggs, Produce and more at Cocoa Green Market! Have you visited the Cocoa Green Market yet? The Cocoa Green Market is a cooperative of local farms and small businesses dedicated to the principles of green living and sustainable farming practices. We are located at 12 Palms Farm, an authentic working from with cows, goats, free-range chickens and llamas. Our charming farm stand is stocked full of wonderful jams, jellies, fresh produce, home-baked breads, local honey, and a variety of handcrafted country gift items. Stop by for a visit and spend some time enjoying the peace and harmony of life in the slow lane. For hours of operation as well as updates please make sure to LIKE Cocoa Green Market on Facebook. TIP: Bring a cooler! You’ll want to refrigerate your raw milk and some of your other goodies and if you’ve got a long drive back home ahead of you then keeping sensitive products cool is essential. There’s a local natural parenting celebrity in our midst! Photographer Natalie McCain recently created The Honest Body Project which almost immediately began receiving local and national media attention. It all began with a tweet soon after The Honest Body Project launched. Celebrity breastfeeding mom Alyssa Milano followed, replied and re-tweeted The Honest Body project’s message and it’s all been exciting to watch from there. Featured on several reputable national news and media websites and blogs, this hometown hero’s future is bright and her mission is admirable. So what does Natalie have to say about why she chose to take on this project? From mothers with disabilities to mothers of angel babies, Natalie’s goal is to feature WOMEN (not just Moms) and allow them an outlet for their stories. For more information please visit The Honest Body Project here or LIKE The Honest Body Project on Facebook.